Has marketing and advertising really changed that much in the 21st Century? Is it necessary to completely alter the way we reach audiences from what we did in the past? In this four-part series, I’ll discuss my thoughts on the millennial generation, the way technology has impacted advertising and how companies and advertising agencies need to respond to both. Contrary to most people’s thinking, Millennials aren’t killing everything. There are articles and seminars about them everywhere. You can even watch a Ted Talks video titled “Millennials: Who they are and why we hate them.” Contrary to what so many people are saying, Millennials aren’t crazy or killing everything. Just like the generations that proceeded them, their habits have bruised certain industries and created others. Those who swooned over Elvis were considered sacrilegious by their parents during the 1950s. In the 1970s members of the younger generations were called “rebels” because they wore bell bottoms, grew long hair and couldn’t enjoy music unless their ears bled. The 90’s brought youths wearing all black grunge clothing. Every new generation blazes its own trail and the previous generation doesn’t appreciate being challenged by this seemingly inevitable evolution. In the 50’s, TV was guaranteed to kill print, it didn’t. In the 60’s FM stations were going to destroy album sales, they didn’t. 8 tracks were replaced by cassettes, which were replaced by cd’s and now they’ve all been replaced by smart phones and pure play apps. The biggest difference isn’t that this new generation is marching to its own beat, but rather that the innovation they’re enjoying is not a single invention, but rather a smarter, more instantaneous form of technology overall. This has magnified their voice and added power to their punch that previous generations didn’t have. Millennials have more information at their fingertips than all previous generations combined, but with that power comes responsibility. Businesses recognized this phenomenon and started adjusting their strategies and marketing plans to reach the millennial audience. It’s no different in the advertising world. Agencies have made a shift in the way we handle advertising as we know it. 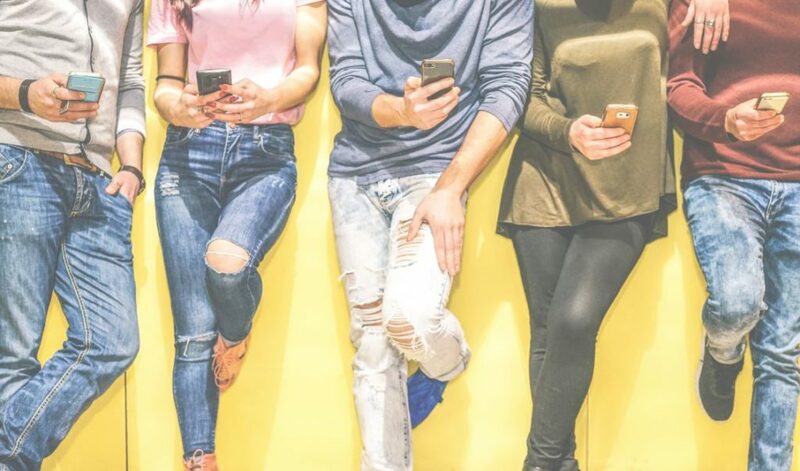 “Tech media channels” propose new models virtually every day proclaiming, “Here’s how to reach the millennial audience.” We assumed that the only way to grow our bottom line in this shifting environment was to totally reinvent the medium of advertising. But is that the best answer? Businesses are now told to be “real.” They are warned not to “sell” to millennials, but rather to “engage them,” and that it’s cool to be “retro” as long as you’re “new!” With that confusing advice, it’s not surprising that businesses are beginning to completely unravel looking for the “silver bullet” to win over this generation. I say don’t waste your time, because that “silver bullet” doesn’t exist! I propose we slow down and put everything back into perspective. Whether it’s through Social Media, Mobile, Digital, Apps, etc., there simply isn’t a single strategy that is going to make this generation say, “Yup! That’s for me!” It’s time we assess this situation accurately and recognize that our businesses and advertising don’t have to completely change for this one generation. Instead, we must learn to better understand the growing opportunities this climate offers, and make them a part of what we know has worked for generations in the past. In my next three articles of this series, I will cover how your company can work together with both the tech industry and advertising agencies to stabilize the digital advertising world and strengthen your positions in the market with this generation. To continue reading the next article in the series, “The Noise,” click here.